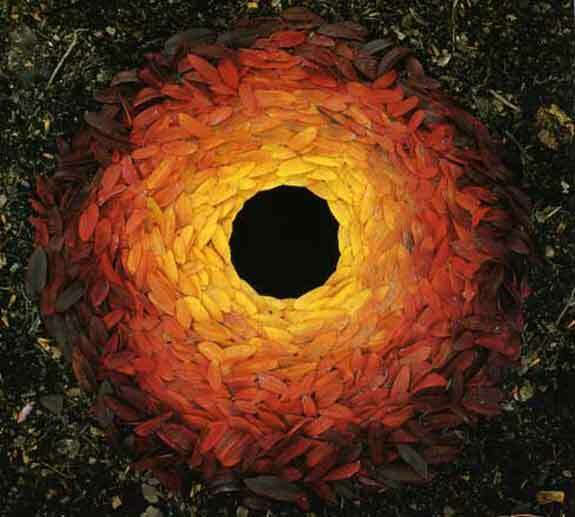 Andy Goldsworthy makes sculpture in the landscape using the materials of nature immediately to hand and the chance conditions of place, time, weather, season. 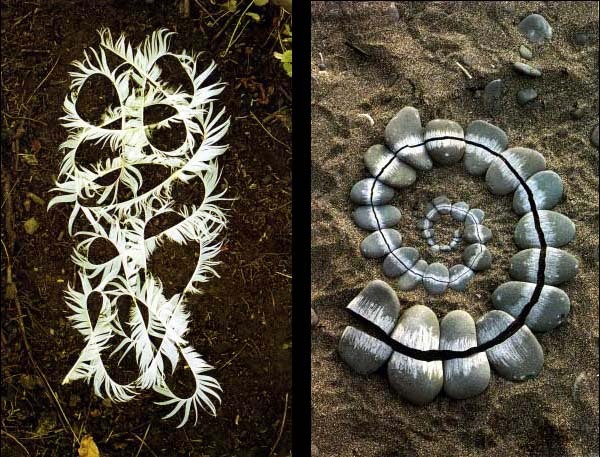 The now-familiar forms of his art – arches, circles, columns, domes, holes, lines, spheres, spirals, spires – are powerful expressions of the patterns and rhythms of growth. 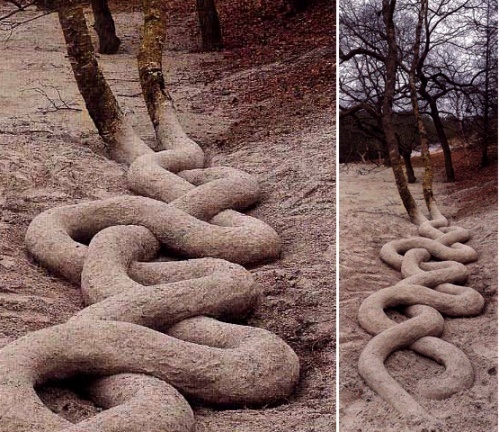 They are attempts to understand the purpose of sculpture and through it the purposes of nature itself. 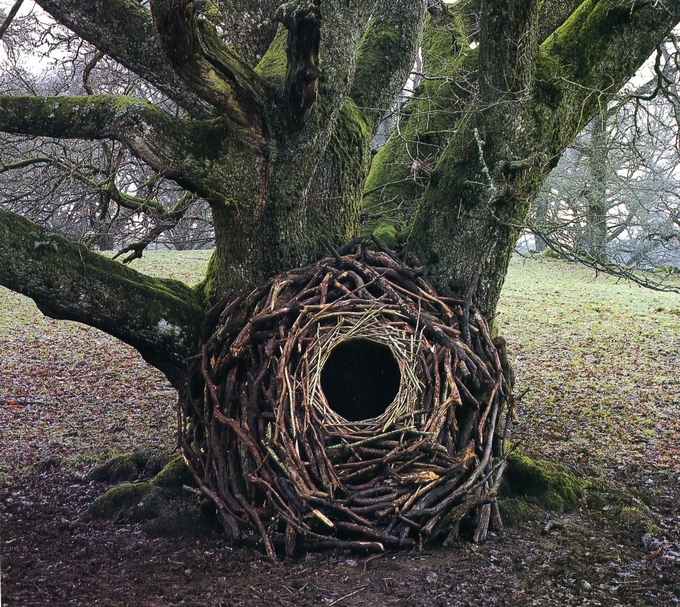 Goldsworthy’s unusual practice has been to make each sculpture, which can vary in size from miniature to monumental, using only one kind of material and constructed during a brief time span, often within a single day. 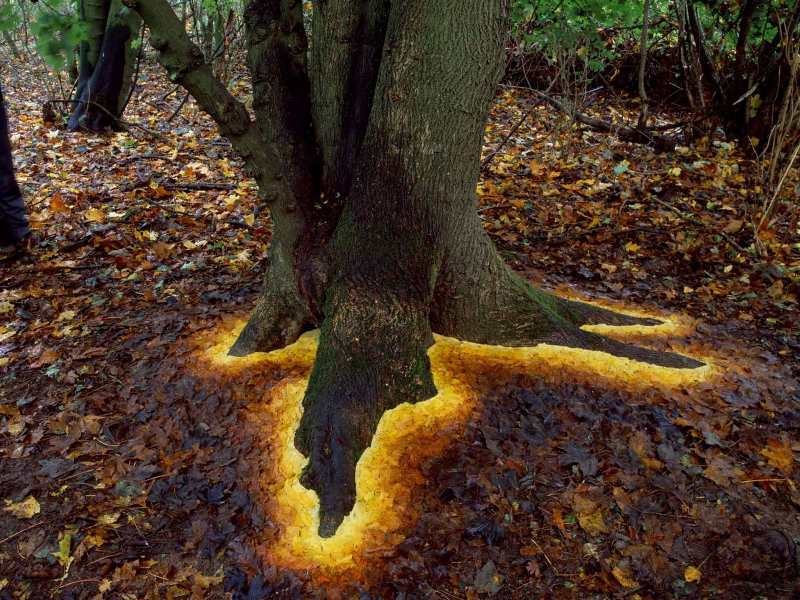 The work is then photographed before it naturally disintegrates. When he starts working outside, Andy has to establish instincts and feelings for Nature: some he never had, while others he had not used since childhood. He needs a physical link before a personal approach and relationship could be formed. He splashes in water, covers himself in mud, goes barefoot and wake with the dawn. 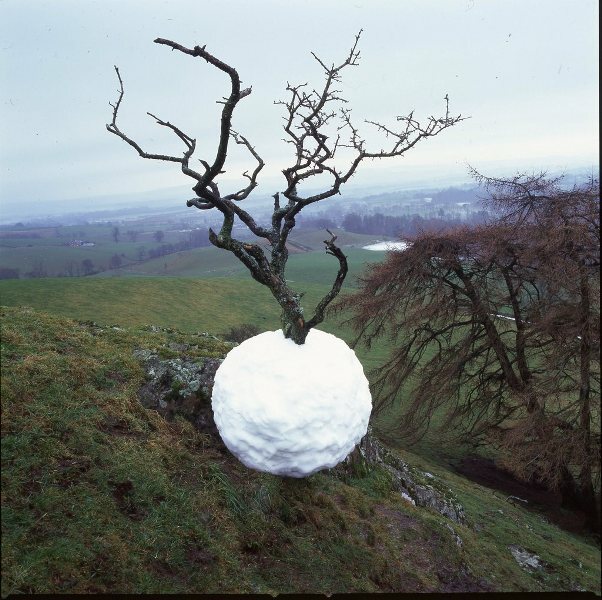 To create the sculptures Andy Goldsworthy uses various materials that can be found in the nature – earth, seeds, roots, branches, leaves, trees, flowers, snow, sun… He creates objects that are look so natural, yet a bit odd, unusual, unexpected.